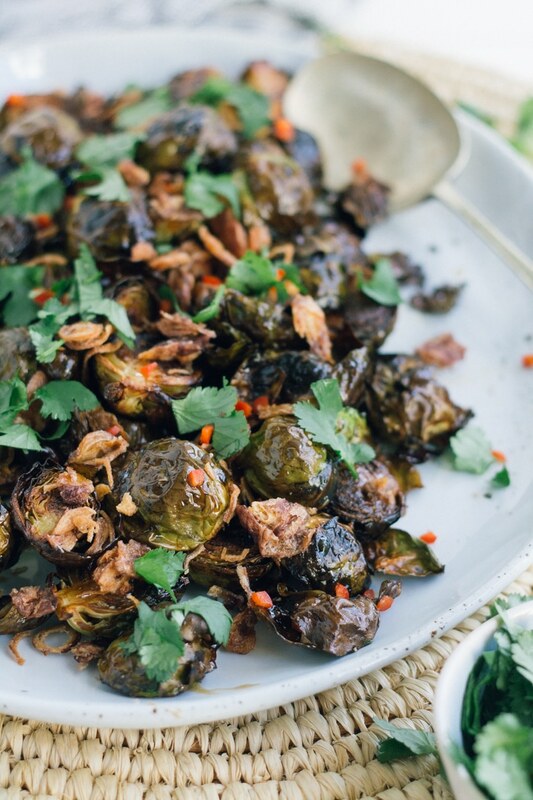 There are two types of people in this world: those who love brussel sprouts and those who don’t. 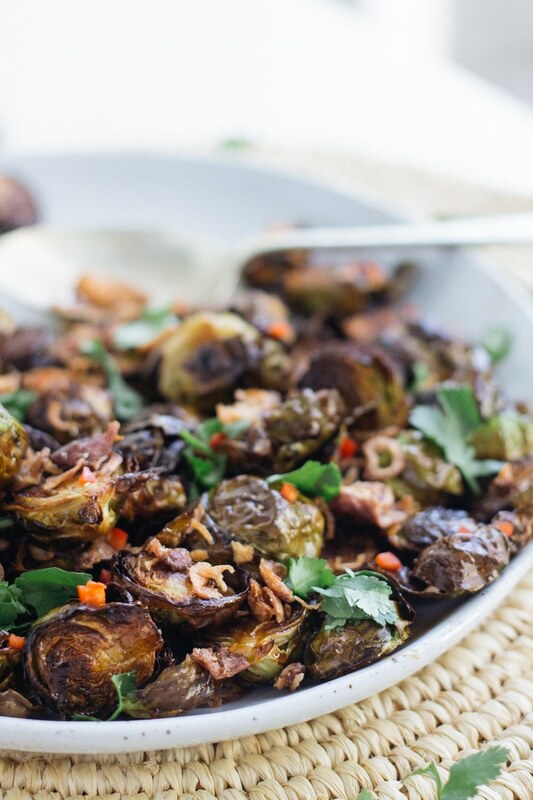 For those who love brussel sprouts: you can skip straight to the recipe. 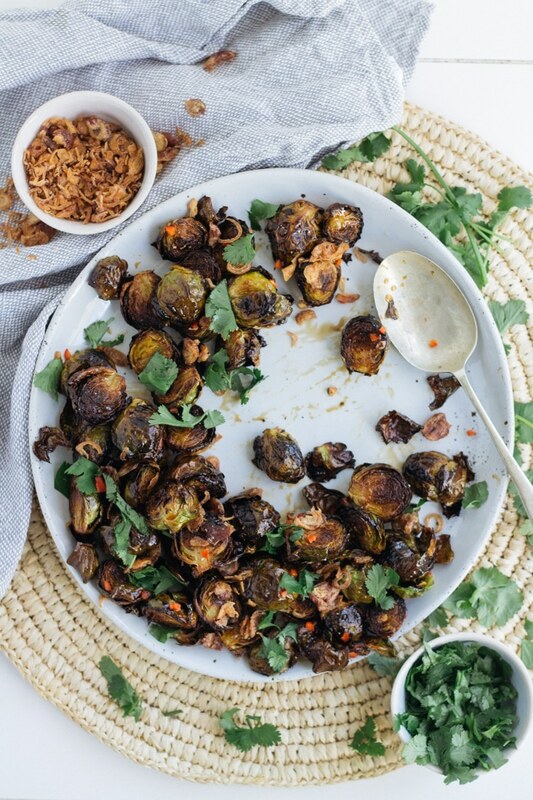 It’s a recipe for the best ever, totally addictive, most crispiest baked brussel sprouts coated in an unexpectedly delicious Asian style dressing. That’s all I need to say. Catch you on the flip side. Out. 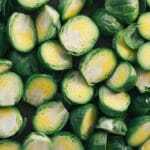 For those who hate brussel sprouts: let’s talk. A certain someone in my family (who wishes to remain anonymous) is on your team. He hate’s brussel sprouts, actually he hates all crucifers for that matter. I know! Think of all those good cancer fighting antioxidants, protein, vitamins, folate, manganese for peak brain function and carotenoids to protect against eye disease that he’s missing out on not eating those cool little veggies. Until recently I don’t think I have ever seen him eating them in the 15 years I have known him. In fact if I even dare to use the same knife or chopping board I have used on crucifers on his food then it is deemed “contaminated” and cannot be eaten. Anyway, last September my family and I went across to Australia for a friend’s wedding. As a treat we had a couple of extra days at a fancy hotel in Double Bay, Sydney. I might add that it was with the kids (come on grandparents, next time you’re up). We had the most amazing stay and the BEST EVER gourmet buffet breakfast. My kids agreed thanks to the endless supply of fluffies (a.k.a. babycinos). On the second night this anonymous family member decided to take us to the local pub he had been to previously. I walked in the front door and was quite dubious, but out back was this absolutely fantastic, eclectic looking gastro pub called The Sheaf. We ordered some burgers and I ordered a side of brussel sprouts. What came out was the most AMAZING brussel sprouts I have ever tasted. They were crispy. They were crunchy. They were salty. They were deep fried! They were the best little brussel spouts I have ever tasted. So friends and brussel sprout haters this is it. 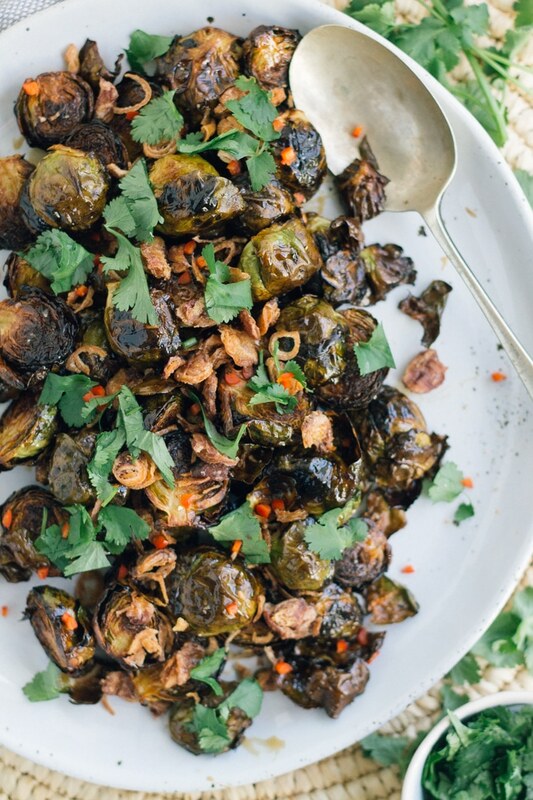 These are the brussel sprouts you are going to love. I guarantee it! Firstly, you are going to love these because they are so crispy and crunchy. I have an aversion to deep frying at home because, well, I’m lazy and hate the mess. So in my version we are baking these little sprouts but we are still going to get them super crunchy thanks to the help of a hot oven and a little oil. Secondly, we’re going to cover them in the most amazing, salty and sweet Asian inspired dressing. I know, an Asian style dressing is not what you first think of with brussel sprouts but it works better than any Western style dressing I’ve tasted. Lastly, we’re going to top it with a little more crunch from some fried shallots and freshness from some fresh coriander (cilatantro). Sound pretty good right? Well you’re going to love them! Welcome to “Team Brussel Spouts”! Preheat oven to 200C/400F on fan-bake. Line a baking tray with baking (parchment) paper. Cut the ends off the brussel sprouts and half lengthways. If any outer leaves fall off, keep these and put them on the tray along with the chopped brussel sprouts. Drizzle with oil and sprinkle with salt and pepper. Toss to ensure every brussel sprout is coated. I find the easiest way to do this is with my hands. Arrange the brussel sprouts, cut side down, in a single layer on the tray. You may need two trays to do this depending on their size. Place in the oven for 15 min. After 15 min remove from the oven. Remove any really crispy outer leaves that may have fallen off and place these in a bowl. Set aside. Turn all the brussel sprouts over and return to the oven for another 10-15 min depending on the size of your brussel sprouts. Ensure you check every 5 min once they are back in the oven to ensure they don’t burn. 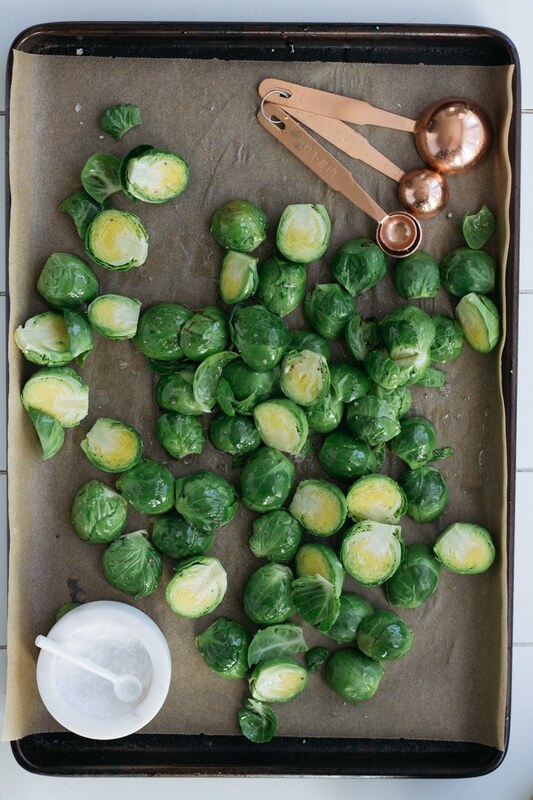 Once the brussel sprouts are crisp and darkening remove completely and place in a bowl or serving platter. To make the dressing, combine all the dressing ingredients together. Drizzle the dressing over the warm brussel sprouts and toss to coat. Scatter over a handful of fried shallots, some fresh coriander (cilantro) and chilli, if you wish, and serve immediately. Note. You can find fried shallots at any Asian supermarket or in the Asian section of some supermarkets. OMG so crispy I’m drooling! 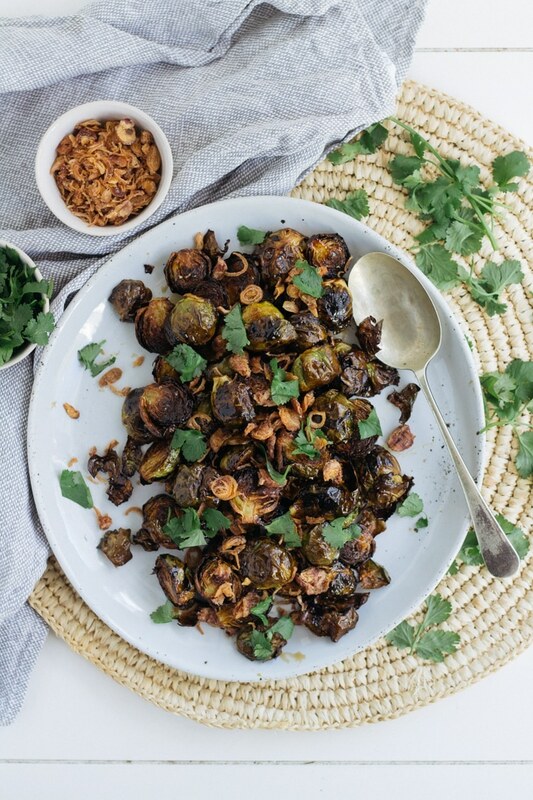 Crispy brussels are my weakness, so I know these are are my radar to make! Hahaha! Me too! I think it’s a pretty good weakness to have. Thank you so much for stopping by to visit and comment Bethany.